Five Sea Fisheries officers have qualified as co-responders for the St John Ambulance and Rescue Service. Chris Morris, David Wilkinson, Dan Ingrouille, Michael Phillips and Amy Critchlow are the latest group of volunteers to undertake the “First Person on the Scene” (FPOS) course which enables them to attend to “immediately life threatening” calls on land and at sea while waiting for the emergency services to arrive. The Guernsey Police, Guernsey Fire & Rescue Service and now Sea Fisheries officers work in tandem with the Ambulance Service and provide a co-response to these critical 999 calls if they are in the close vicinity of the emergency, administering basic life support and defibrillation where needed. Chris Morris, Senior Sea Fisheries Officer said that the organisation has been working closely with St John for many years and that it was a privilege to offer its support in this way. “Because we have such a good relationship with St John it was suggested that some of our team might be interested in becoming co-responders. 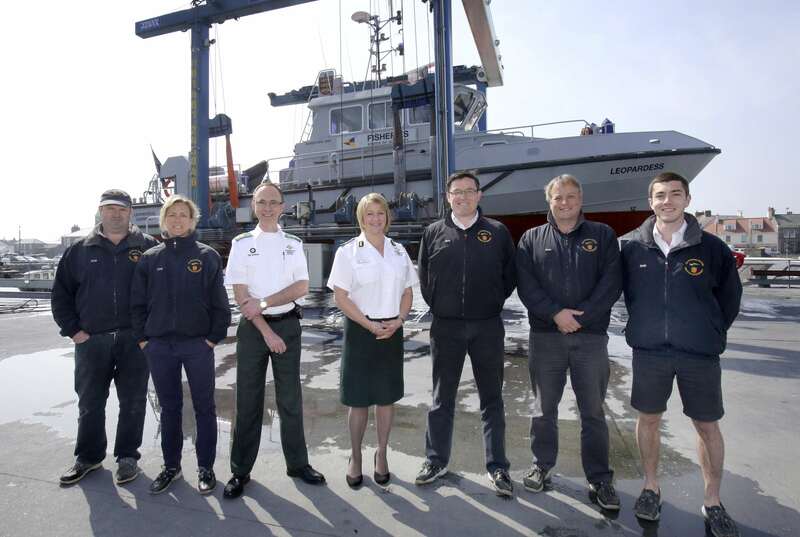 Five volunteered and have since qualified which means we can respond should any fishermen or sailor require medical attention while we are waiting for the Flying Christine to arrive,” said Mr Morris. The Sea Fisheries vessel, the Leopardess is a protection vessel that covers Guernsey’s coastline. It carries oxygen and a defibrillator on board at all times but is not fitted or qualified for medical transfers. Not only are the Sea Fisheries’ latest recruits qualified at sea but will also respond onshore adding to the other co-responders within the Bailiwick. Co-responders carry a first response kit including oxygen and a defibrillator. They are fully equipped to give early care to patients suffering from heart attacks, breathing difficulties as well as being able to care for unconscious patients and patients in cardiac arrest. A patient who suffers a cardiac arrest has a higher survival rate if they are attended in the first few minutes of collapse.